When I was young I used to have very prominent white horizontal lines around my neck, it made my neck look segmented....like an accordion. Even if you could argue that it was quite a unique feature, it wasn’t very fun growing up with such distinguishing marks. Kids can be mean and I was constantly being compared to a turtle and always being asked to “stretch” out my neck. 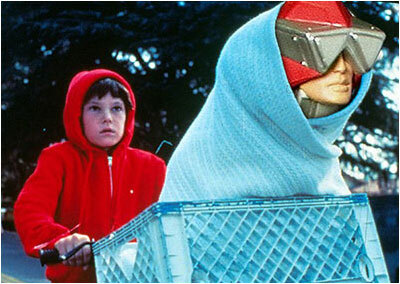 It got even worse in 1982 when the hit movie E.T. the extra terrestrial came out. If I had a dollar for every time a kid asked me to “phone home” I’d be filthy rich. But it wasn’t until 2 years later when I finally got the nickname that pretty much stuck with me for the rest of my childhood. In 1984, the Heroic Human Periscope Mekaneck was released as part of the third wave of the Masters of the Universe toyline. I remember my brother describing his special ability to me before seeing the actual figure. Instead of the spring loaded “power punch” feature that most of the other characters had, he had the ability to raise his head up with a twist of his waist. 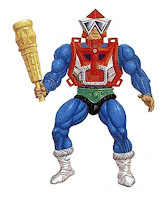 It never occurred to me, despite the name that his neck grew, I just thought his head flew off when he threw a punch like one of those rock’em sock’em robots, which I thought was pretty lame. 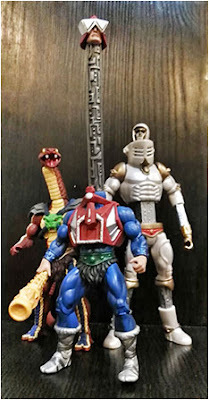 Mekaneck was one of the few Masters of the Universe figures I actually owned, in fact, for some reason I think we had 2 of them. 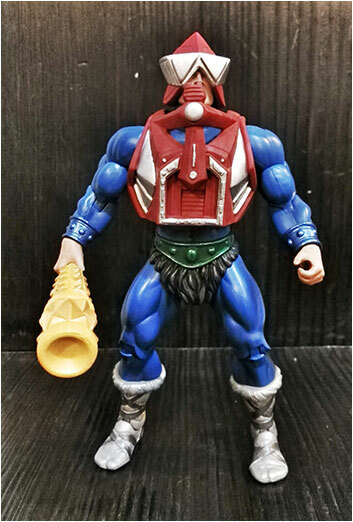 Maybe it was the fact that he had a really odd overall look, with is predominantly primary color scheme of blue and red with a yellow..club and silver boots, or the fact that his action feature even when properly illustrated wasn’t all that amazing he just was never a favorite of mine. 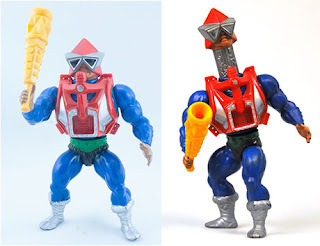 It didn’t really help that whenever I played Masters of the Universe with my friends I was always assigned to be Mekaneck. 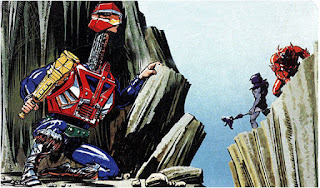 Anyway, from the minicomics that came packaged with the figures, to the original cartoon and everything in between, Mekaneck’s backstory varied. But what is common in most of them was that he was a regular heroic warrior who gravely injured his neck either in a battle or after being caught in some storm. And it was through a combination of tech from Man-at-Arms and magic from the Sorceress that he was eventually healed and reborn as Mekaneck. In earlier stories, he’s portrayed as a boastful individual who loved talking about how great his skills at scouting were. He talked so much about what he could do, that much to his comrade’s irritation, he often skipped out on reporting about any of his actual reconnaissance work. In the 2002 cartoon reboot however, his personality was completely flipped around. 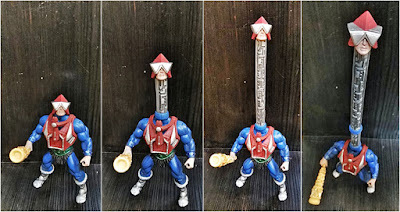 Despite the fact that he was given improved neck stretching abilities wherein instead of just shooting straight up, he could now stretch out a considerable length and bend and twist around obstacles, ala Mr. Fantastic. Mekaneck actually saw his abilities as lame compared to all his other teammates. He had an entire episode where his insecurities were explored and how he eventually learned to overcome them and appreciate what he had. I know it’s a cliche type of story but it at least made this odd looking character more relatable and gave him a little more depth. Nowadays, I don’t hear any Mekaneck insults thrown my way, especially since those lines around my neck thankfully disappeared a long time ago. You would think that because of all those childhood name calling I would hold some sort of intense dislike for the character. Actually, it’s quite the opposite. I’ve grown to be pretty fond of Mekaneck, and was really looking forward to finally getting an updated toy of him from the Classics line for my shelf. 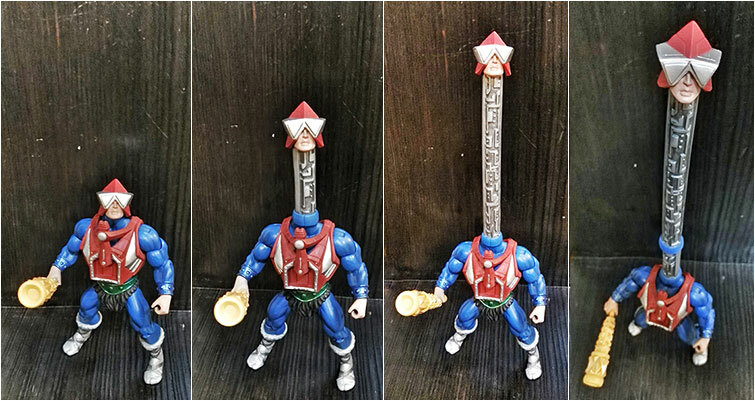 While the new toy no longer has his action feature, he does come with swappable neck parts to allow you to display him with his neck fully extended...and when I say fully...way longer than the original toy. 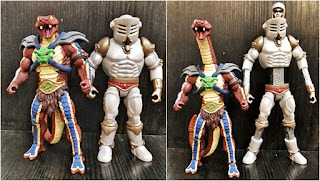 Interestingly, as “lame” as a stretchy neck ability seemed, Mattel would actually introduce 2 more Masters characters with pretty similar abilities in 1986. The first was Mekaneck’s comrade Extendar, who, as his name describes could extend various parts of his body, including his neck. Not to be outdone, the evil Snakemen got their own “neck” warrior in Rattlor. But his gimmick was more of being able to use his head as a battering ram or something. Anyway regardless of all these supposed “improved” neck warriors, Mekaneck will always be the original and best of the bunch for me. And for better or worse, the Master of the Universe that I will forever be associated with.